The EFCC has moved to commence an interrogation on the Ex DG of the DSS; Lawal Daura over an alleged N17 billion fraud which was said to have been left behind by the former DG of the DSS; Ita Ekpeyeong. It was alleged that Ekpeyong received N20 billion from the Central Bank of Nigeria (CBN) at the end of former president Goodluck Jonathan’s administration. Daily Trust reports that Ekpeyong allegedly converted N17 billion into United States of America (USA) dollars, which he left behind when he handed over to Daura. The funds were reportedly traced by EFCC investigators as a fall out of discoveries after the $43 billion linked to the National Intelligence Agency (NIA) was found stashed at a private apartment inside Osborne Towers in Ikoyi, Lagos. 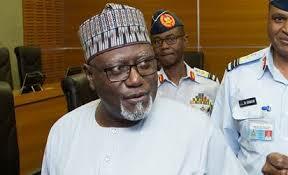 EFCC sources said operatives of the commission had been working on the investigation report that indicted the management of the DSS, but that the investigation was frustrated by Lawal Daura.